Filming your wedding isn’t something I take lightly. I know the importance of the day and understand all of the time and effort that goes into planning such an important event. It is for these reasons that you can always trust that I put in the work before, during, and after your wedding to ensure that I capture all of the important moments. 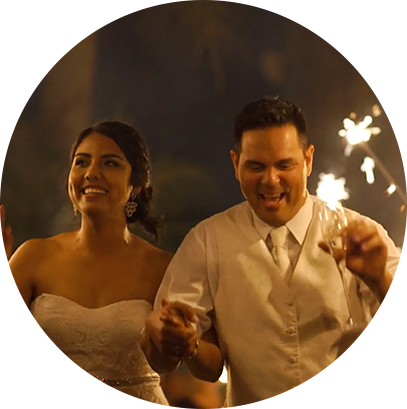 If you are looking for a videographer to just show up and not be involved in your wedding day, then I am probably not the videographer for you. I like to take the time to meet my clients either in person or by phone before the wedding day. I want to become friends with my clients so that during the wedding you don’t just have someone there to film your wedding- you have a friend you trust. I like to get creative and at times I will speak to you to make you feel comfortable and get some real emotion. My cameras are usually the smallest in the room and as a result I can blend seamlessly into proceedings. My goal is to be discreet and not to become a distraction, so guests are completely unaware that there is even a wedding videographer present. I would love to hear from you about your wedding ideas. If you like the sound of my unique approach to weddings- send me a quick email and tell me a little about what you have in mind. I am happy to provide details about my packages for our wedding videos or provide a quote for other services.